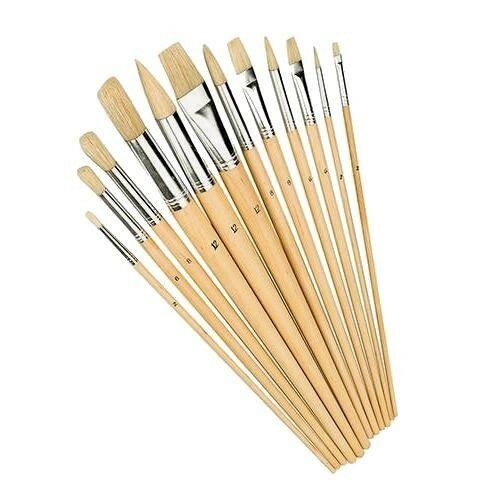 Brand New Mixed Tip Brush Set (12 Pieces) Pure bristle with natural wooden handles. For finishing work, painting and priming. Tip sizes from 2 - 12mm.